We can defeat this nomination! Cynicism is our biggest enemy in the fight for the courts. Our basic rights are at risk with the Kavanaugh nomination to the U.S. Supreme Court, so we need everyone to bring their all to this fight. That’s where you come in. As legal luminaries in your communities, we need you to join us in this effort and have specific ways you can help. By way of background, Kavanaugh has met the president’s litmus test for the Supreme Court and will expressly target laws, freedoms and protections the radical far right has been trying to undo for decades. The groundwork had been laid many years before this nomination. Don’t fall for empty statements from Kavanaugh that he will just follow settled law or just make rulings based on the merits of the cases before him. See here, here, here and here for further clarification on what this nomination means. What’s at stake? To name a few: reproductive rights, our health care system, LGBTQ rights, voting rights, racial justice, the environment, protections for workers, and the rule of law. Or in other words, many of our basic rights and freedoms. What can you do? We need you to raise your voice in your community and encourage your colleagues and students to do the same. Here are seven ways that you can engage right now. Also, stay updated on the nomination fight here, and join us on July 12th at 3pm ET for this webinar on “The Special Counsel, Executive Power, and the Next Supreme Court Nominee,” and on July 17th at 3pm ET for this webinar on “The Road from Janus to Roe: What the Supreme Court’s Disregard of Precedent Could Mean for All of Us.” Finally, let either my colleague Jill Dash (jdash@acslaw.org) who leads ACS’s work on judicial nominations or me (zoctober@acslaw.org) know if you are willing to engage on the issue. We have many opportunities that are especially suited to your skills and expertise. Thank you in advance for being our partner in this important fight. 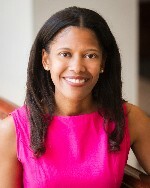 Zinelle October is a SALT board member and vice president of network advancement at the American Constitution Society (ACS). Do We Still Need Constitutional “Equal Protection” in a Growing Multiracial World?